People starting out with ham radio often wonder what they should buy as their first ham radio. 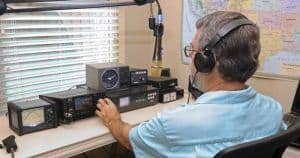 This guide will help you identify the best ham radio for beginners so that you can join thousands of novice hams communicating across the country. Depending on the radio that you select, ham radio equipment for beginners could even allow you to reach other hams worldwide. While it is difficult to select the right entry-level system in an overcrowded market, we're going to simplify the process to save you time and money. There are many high-quality ham radios on the market today, but we've narrowed the options down to the four best options for beginners. Our reviews are designed to deliver honest information to help you buy a ham radio in confidence. ​The Wouxun KG-UV8D is the most expensive ham radio to make our list, and you can expect to spend more than $100 when purchasing it at full price. You may find it worth the added investment if you prefer a larger screen that is easier to read and room to store up to 999 channels for fast tuning. We consider this radio among the best ham radio equipment for beginners who have more than a light curiosity about ham radios. 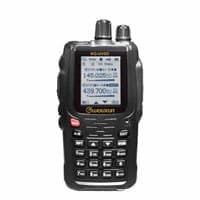 It comes with some advanced features like cross-band repeat, which allows you to connect your handheld radio with other dual-band or base radios to increase your reach. ​The Wouxun KG-UV8D will connect to UHF and VHF bands, allowing you to tune into FM radio stations or connect with other hams radioing in your local area. With local repeats and the ability to piggyback off more powerful radios in the same area, this beginner ham radio could give you a taste of what a more powerful radio might deliver. Typically listed for well under $100, ​the BaoFeng BF-F8HP is a durable handheld radio that covers VHF bands between 136-174 MHz and UHF bands between 400-520 MHz. This should allow you to connect with fellow hams in your local community and possibly throughout your extended region. We consider ​the BaoFeng BF-F8HP one of the best ham radios for beginners because it's easy to use with three power settings delivering an output up to eight watts. It's designed with a hard plastic shell that won't break easily if dropped, and it features a built-in V-85 high-gain antenna. The newest version of this BaoFeng ham radio includes a 2000mAh Battery, which is larger and longer-lasting than previous versions. You can expect a fully charged battery to last between 18 and 24 hours, depending on the power setting selected. This beginner ham radio weighs just 10 ounces. It clips to your belt for portability, or you can simply carry it by hand from your home to your vehicle, to work, on road trips and anywhere else that life takes you. We consider ​the BaoFeng UV-5R V2+ the best ham radio for beginners shopping on a tight budget. This is a good option if you're curious about ham radios but may not continue with the hobby long term or if you need a good radio for a road trip or a one-time broadcast event. One feature that sets this model apart from other Bao​Feng ham radios is the unit's compatibility with 7.4V 3800mah and 3600mah extended batteries sold separately from the brand. Battery issues are the biggest complaint against this entry-level ham radio, but an extended battery may improve its performance. ​The BaoFeng UV-5R V2+ is also equipped with auto-band detection, which means that it will automatically detect a band. Allowing your radio to auto-tune into a band could save you some time while making your experience as a beginning ham a bit easier. This is a dual-band radio that will tune into UHF and VHF bands at frequencies of 400-479.995 MHz. It has a two-color display that most users find easy to read. Are you looking for a beginner ham radio setup that is compatible with the Motorola TRBO network? If so, ​the TYT MD-380 will get you into tiers I and II. This is the first DMR radio from this brand, so future versions may fix any imperfections experienced with this introductory effort. DMR stands for Digital Mobile Radio. This is a more modern approach to hamming that is believed to deliver a more secure and simplistic radio experience. It is different from the analog system used by other ham radios, and many beginners find it easier to operate. You can use ​the TYT MD-380 right out of the box, but it has extended programming capabilities. The radio comes with software and a USB cable that you can use to extend the functionality and reach for a more enjoyable experience. Buying your first ham radio is an exciting experience that you can live only once. Whether you have a background in communications or are interested in beginner ham radio equipment purely out of curiosity, you're about to embark on a journey that connects you to other people in a new way. You may also find a handheld beginner ham radio setup useful when thunderstorms knock out the electricity or other forms of communication are cut off. You don't have to spend a lot of money when first starting out with ham radios, but there are some key features that should guide your buying decision. Once you find the best ham radio for beginners, how do you intend to use the equipment? Some hams put portable transceivers in their vehicles with antennas on the roof or hood. This allows them to communicate with others while traveling long-distance or simply cruising around their local area. Other hams prefer a more flexible experience, so they invest in handheld transceivers. These often come with belt clips, so you can take them anywhere much like a cellphone. Most are larger and bulkier than a cellphone, but they give you another option for connecting with others. Finally, some hams prefer to setup stationary transceivers in their homes or another convenient location. While these larger stations aren't portable, they often include more advanced transceivers designed to cover more bands and open the lines of communication nationwide or even worldwide. Many beginners start with a handheld transceiver because they're portable and are typically easy to use when you don't know much about ham radio communication. Each ham radio will allow you to communicate with other hams within a designated area. Imagine your location as the center of a circle and radio frequencies pouring out from that center into your surrounding environment. How far your frequencies will reach depends on the bands covered by your equipment. VHF and UHF – You can connect to other hams in your immediate area. If your metropolitan area has repeaters in place, you can use these bands to reach an extended regional area. These are the bands most often covered by single- and dual-band radios designed for beginners. You don't need an antenna or specialized equipment. HF – Your reach will extend throughout your state and possibly around the country or even the world. You will need more specialized equipment to create a ham system capable of reaching other countries. Each of these bands includes a number of channels to which you can tune your radio. The UHF network is the most restrictive, so you may give yourself greater reach by investing in a beginner ham radio that covers VHF and UHF networks. Many beginner hams invest in stationary HF radios with at least 100 watts of power and a built-in antenna. If you're concerned about budget or aren't sure that you want to become a long-term ham, a handheld radio with at least eight watts is adequate. All of the radios that we recommend for beginning hams come with satisfactory antennas and batteries. They are all handheld radios that will allow you to connect with other hams in your local area while picking up FM broadcasts. We were close to selecting the BaoFeng BF-F8HP as the best ham radio for beginners, but it's reception quality knocked it into second place. Our winner is the Wouxun KG-UV8D two-way radio because it offers better quality along with some advanced features that should make your ham experience more enjoyable. Thanks for pointing that out, that sentence did not make any sense.